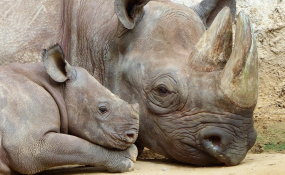 China's Legalisation of Rhino Horn Trade - Disaster or Opportunity? Windhoek — Ever since Namibia experienced its worse year of poaching in 2015 when 97 rhinos were poached, the country has lost an average 50 rhinos annually to poaching. "This must be our goal as rhino conservationists to continue to grow rhino populations in the wild. This cannot be achieved if we work in isolation. We need to work together across borders, institutions and organisations," she urged. Equally, she said through collaboration, they can achieve a united front against the onslaught of wildlife crime to conserve these majestic creatures for future generations. "As a country, we are hard at work and we are ready to go in the bush. You can't be office-bound. You can't be in air conditioned offices if you want these species conserved. I don't want my great-grandchildren to go to Malawi or Botswana to go see a black rhino. They must see it here in their motherland," she remarked. This situation, she says, demands everyone's full attention and collective efforts to develop new strategies and implement current strategies and measures to run the tide.